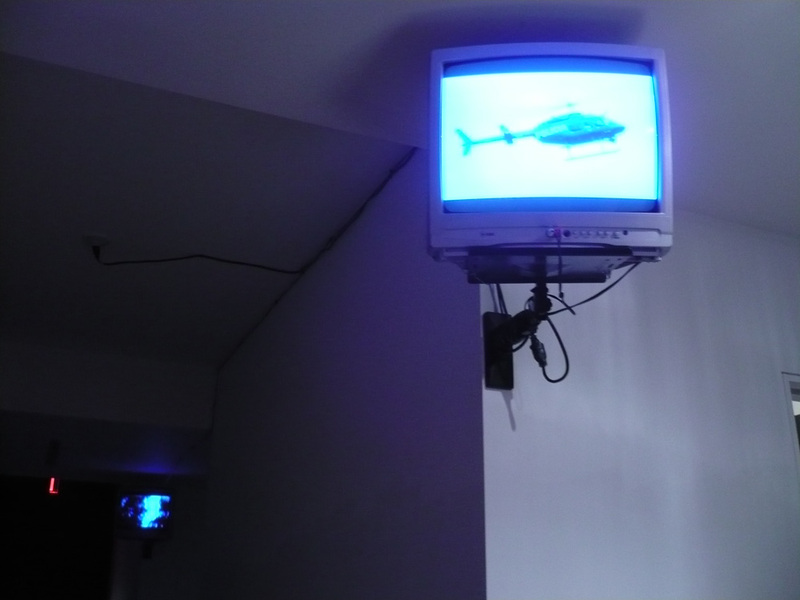 Exhibiting a paradoxically static yet active Mexican police helicopter, appearing to be simultaneously vigilant and pointless, it is as if suspended on it’s way to an emergency operation. 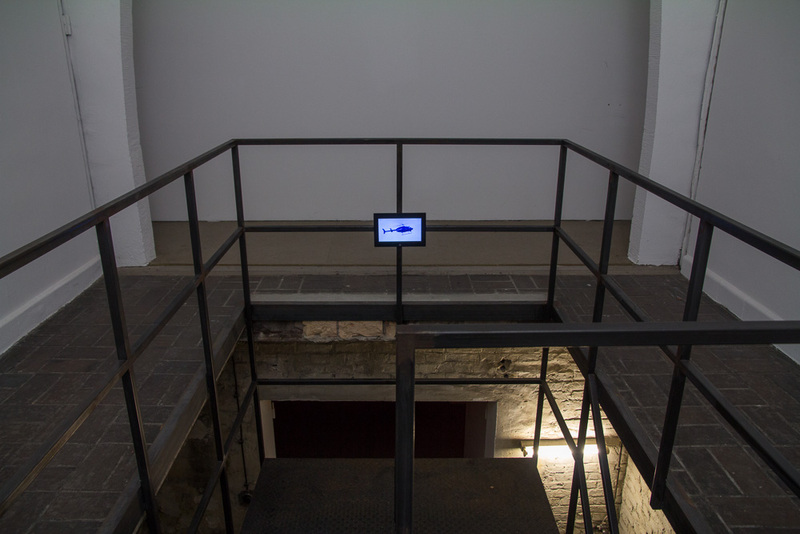 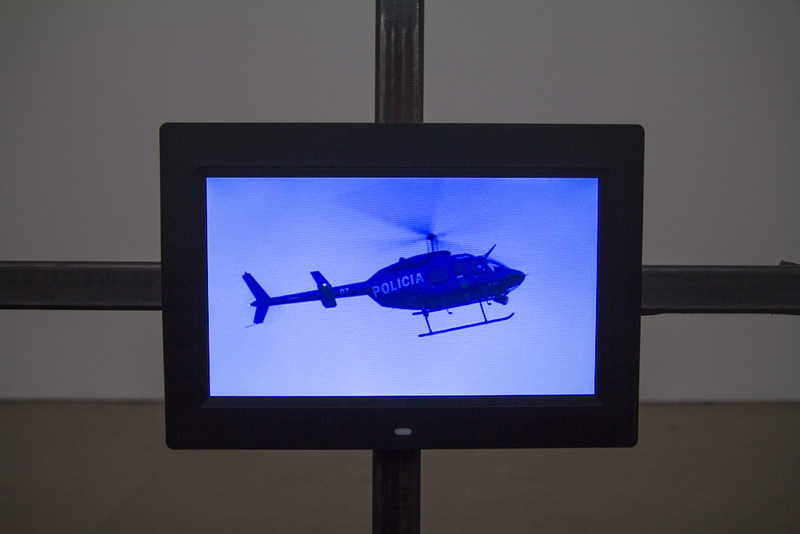 Acting as a biting commentary on the hollowness of the Mexican state, where the country’s security apparatus imposes surveillance systems that fail to offer security, POLICIA delineates the paradox of control in contemporary Mexican society. 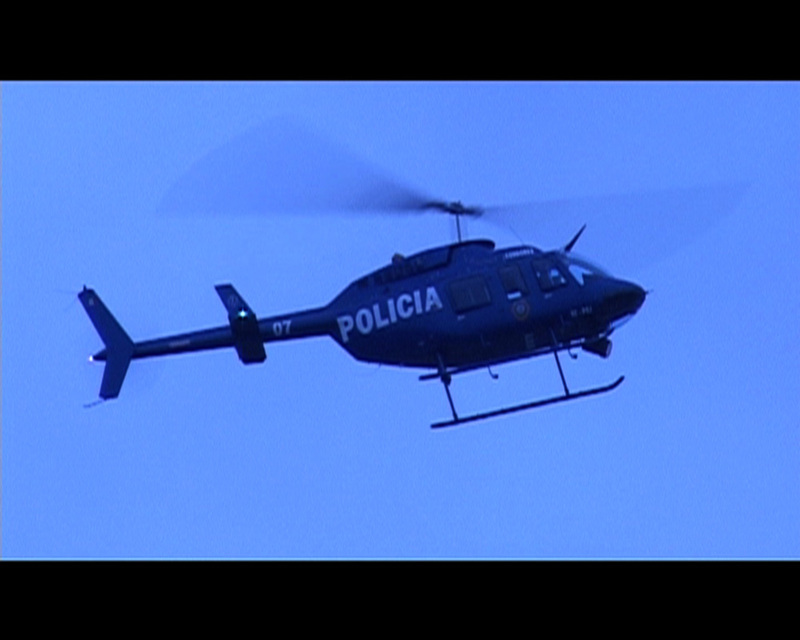 In a country that is being increasingly militarised and where drug barons and paramilitary organisations are eroding the political and legal structures of the state, the suspended helicopter points to the increasingly blurred boundaries between the various groups competing for power.